(March 25, 2019) – Leading preventive cardiologists and academic cardiovascular specialists from the Society for Heart Attack Prevention and Eradication (SHAPE), (http://www.shapesociety.org), a non-profit organization advocating early detection and treatment of the Vulnerable Patients (heart attack victims before a heart attack strikes), issued a press release today (following the release of the new national cholesterol guideline in which aspirin was discouraged for prevention of first heart attack in healthy people), to raise awareness that coronary calcium score should be considered in the shared decision-making process between physicians and patients about continuation or initiation of aspirin. Unfortunately, the new guidelines and related media coverage that prompted people to stop taking aspirin did not do the justice to this important topic. The new guideline issued by AHA and ACC support the SHAPE Task Force’s longstanding position that coronary artery calcium (CAC) scoring is useful for establishing a person’s risk for heart attack and stroke. Previously several leading cardiologists who are volunteer advisors of SHAPE commented on the new ACC/AHA guidelines. “It is great that coronary calcium scoring moved up in the new guideline. There is still room for improvement, but definite progress.” said Dr. David Maron, Clinical Professor of Medicine and Director of Preventive Cardiology at Stanford University School of Medicine in Palo Alto and member of the SHAPE Scientific Advisory Board. “Unfortunately, the status-quo for prevention of heart attack was based on an individual’s “risk factors” rather on the amount of disease in his or her coronary arteries. Preventive therapies are profoundly effective—we just need to know who needs them. SHAPE has long advocated going beyond traditional risk factors, to measure CAC for personalized risk assessment. It is gratifying to see the SHAPE approach is vindicated,” said Dr. Daniel Berman, Professor of Imaging and Medicine and Director of Cardiac Imaging at Cedars-Sinai Medical Center, on behalf of the SHAPE Task Force. The Society for Heart Attack Prevention and Eradication (SHAPE) is a non-profit organization that promotes education and research related to prevention, detection, and treatment of heart attacks. SHAPE is committed to raising public awareness about revolutionary discoveries that are opening exciting avenues to prevent heart attacks. SHAPE’s mission is to eradicate heart attacks in the 21st century. Additional information is available on the organization’s website at http://www.shapesociety.org or by calling 1-877-SHAPE11. 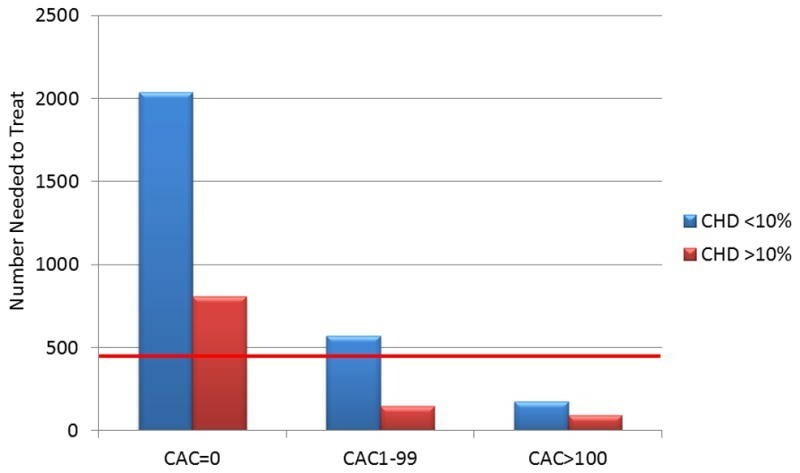 Although coronary artery calcium is the best indicator studied and available today for detection of the vulnerable patient, because it measures the total burden of coronary atherosclerosis, the SHAPE Task Force recognizes that existing tools, including coronary calcium scoring, fall short in accurately identifying the Vulnerable Patient. Most recently, SHAPE has proposed a major, multi-national collaborative project dubbed “Machine Learning Vulnerable Patient”. This project aims at utilizing certain forms of artificial intelligence in a unique subset of cases from various prospective “cohort studies” around the world to identify the biological signature of a near future heart attack. A “cohort study” is one in which one or more samples are followed prospectively and subsequent status evaluations are made with respect to a disease or outcome in order to determine which initial participants’ risk factors are associated with the disease or outcome. Through this SHAPE initiative, blood samples will be collected from blood banks of major cohorts in which apparently healthy people experienced a heart attack few days, weeks, or months after their blood draw and clinical exams. The in-depth investigation of this unique subset has the potential to provide researchers with new insight into what is happening in the days, weeks, and months prior to a heart attack, and will allow them to characterize related biological signals. 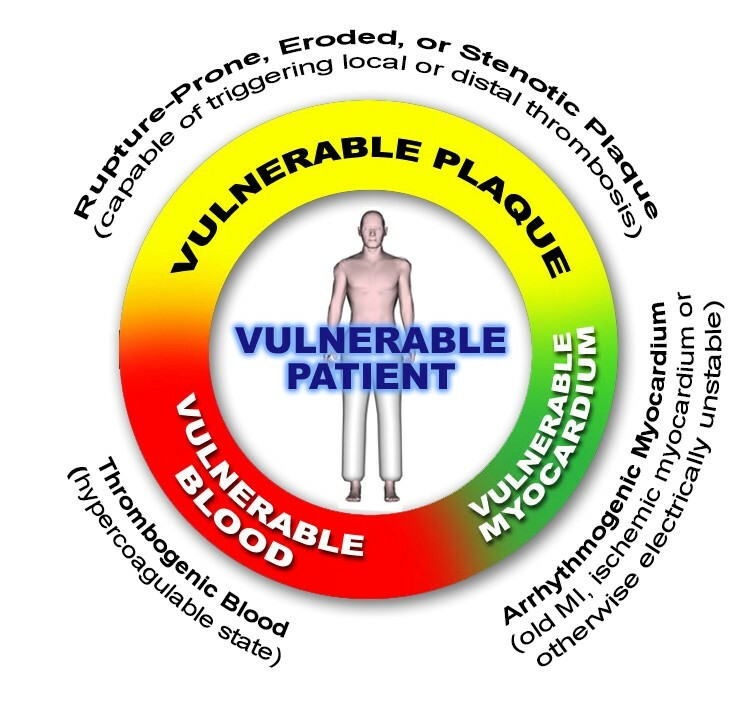 Once the vulnerable patient is characterized, researchers will be able to conduct clinical trials to evaluate the effect of various therapeutic interventions on these individuals and develop new “short-range” treatment guidelines that do not exist today. Currently, heart attacks are predicted using a 10-year risk prediction based on “risk factors” alone. Imagine if we tried to predict ten years ago where and when Hurricanes Harvey and Irma would strike: our predictions would hardly be accurate. We know long term predictions of disasters in nature are ineffective, because they do not trigger immediate or urgent preventive actions. For this same reason, preventive cardiology needs a more accurate short-term predictor (an accurate 12 month forecast) of who is likely to have a heart attack, so that more lives can be saved.